Reporter Jane Ryland is tracking down a candidate's secret mistress just days before a pivotal Senate election. Detective Jake Brogan is investigating a possible serial killer that may be hunting down Boston's young women under the city's bridges. As the body count rises and election looms closer, it becomes clear to Jane and Jake that their cases are connected...and that they may be facing a ruthless killer who will stop at nothing to silence a scandal. Dirty politics, dirty tricks, and a barrage of final twists, The Other Woman is the first in an explosive new series from Hank Phillipi Ryan. Seduction, betrayal, and murder—it'll take a lot more than votes to win this election. has won two Agatha Awards, in addition to the Anthony, Macavity, Daphne du Maurier, and Mary Higgins Clark Award. 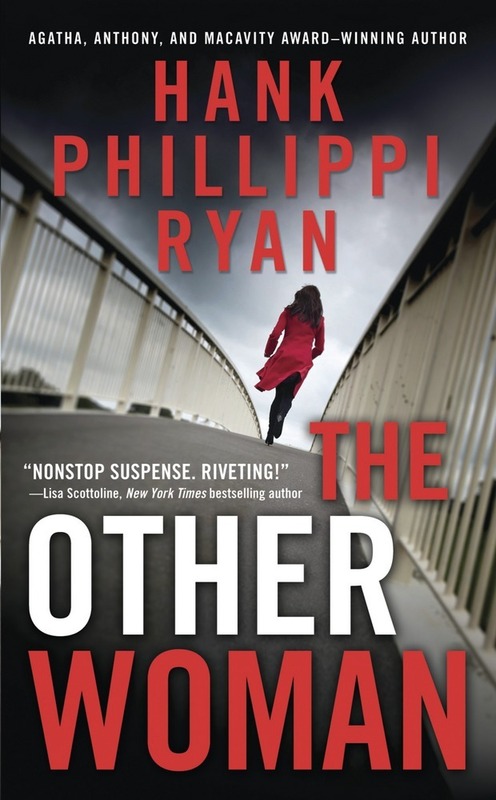 She's on the national board of directors of Mystery Writers of America and Sisters in Crime and is the author of The Other Woman, The Wrong Girl and Truth be Told.